It means that Facebook, which owns WhatsApp, will now have access to all those Android devices and Android users. Many more users could be driven to both Facebook and WhatsApp even as many more Facebook and WhatsApp users could be driven to Google. Another benefit from the deal is that Alphabet now has access to vast amounts of data generated from WhatsApp’s and Facebook’s customers. The two applications have a combined user base of 1.6 billion . On September 3, 2015, Facebook announced that WhatsApp had 900 million users; add that to the 700 million people that use Facebook Messenger, and one gets a number of 1.6 billion. This, of course, forms the potential basis for what could be the largest platform in the world: one billion Android users, 1.6 billion WhatsApp and Facebook Messenger users, and 1.55 billion Facebook users. Obviously there is a lot of overlap here, but the implications are obvious. Facebook has created one of the largest platforms in the world—a platform so large that even Google cannot pass it up. There are actually several good reasons why Facebook and Alphabet are burying the hatchet at this time, the most important of which is the nature of WhatsApp’s customer base. WhatsApp is most popular in the developing world, particularly in Africa. Numbers provided by Statista indicate that around 78% of the Internet users in South Africa use WhatsApp. WhatsApp is also popular in Europe, particularly in Germany, where 57% of Internet users access it. Alphabet wants to work with Facebook because it has access to a huge new customer base and vast amounts of data that Google might not be able to access. A major reason for this is that Google’s own social media solution, Google Hangouts, is a failure compared to WhatsApp. Alphabet does not reveal the numbers for Google Hangouts, a clear indication of its failure. It did, however, try to purchase WhatsApp for $10 billion last year but got outbid by Facebook, which snapped up the service for $19 to $21 billion, First Post reported . Obviously Google would not have tried to buy WhatsApp if its own solution was succeeding. Now Google has revealed the true extent of its social media failure by making peace with Facebook. This is surprising given the tensions and enmity between the two companies. Mark Zuckerberg was badmouthing Alphabet in interviews in the past few weeks. 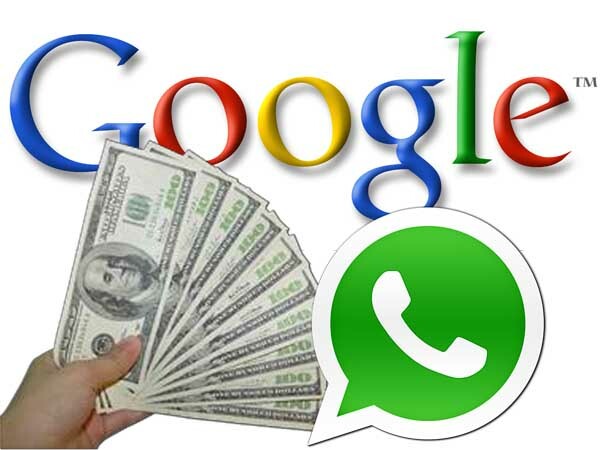 Can Google Integrate with WhatsApp? One has to wonder if this search agreement will mark the beginning of an integration between Google and WhatsApp. Such an arrangement would be highly beneficial to both companies, but it could be problematic. Any effort to combine Google and Facebook would undoubtedly attract the attention of antitrust regulators. Google is already facing serious antitrust actions in the European Union. It would also raise questions about surveillance and corporate power, which would increase hostility to the companies. This could create serious problems in the United States, where attacks on corporate power have become a major feature of the presidential race, particularly in the Democratic presidential primary. Beyond that, there are some features in Google Hangouts, including video conferencing, that could be integrated with WhatsApp and Facebook Messenger fairly quickly. This would raise other concerns given Google’s focus on advertising and WhatsApp’s hostility to the practice. Google Hangouts is a superior tool for video conferencing, which could quickly become a major business use of instant messaging and a potential revenue source. Alphabet also has active payment solutions in the form of Android Pay and Google Wallet—a key feature that both Facebook Messenger and WhatsApp lack. Another area of Google expertise that Facebook might want to tap is ecommerce. Alphabet has some impressive ecommerce features, including Google Shopping , Google Insurance, and Google Express, which facilitates same-day delivery services. WhatsApp could become a logical venue through which customers could access such services quickly. Facebook is building an enormous platform with a massive customer base through WhatsApp and Messenger. It obviously needs products and services to sell to those customers, and Alphabet could provide a lot of those goods or services. Working with Facebook could also help Google regain its edge in the war with Amazon.com for the all-important shopping search market. Forester Research discovered that 30% of product searches by American consumers started on Amazon, while only 9% started on Google Shopping, Marketing Land reported . If that was not enough, Forester’s analysts believe that Amazon has successfully taken a large share of the shopping searches from Google. Alphabet obviously needs to find new means of driving more customers to Google Shopping. One way to do that is to set up channels that would drive customers from WhatsApp to Google Shopping. A particularly important part of this will be introducing ecommerce services to developing economies such as those in Africa. The preferred means of accessing bank accounts and making payments in many African countries is digital payments made over smartphones, most of which use Android and WhatsApp. If Alphabet wants to tap the growing markets in Africa, it needs to go to the platform that Africans use to access the Internet, namely WhatsApp. Some of Google’s products, particularly Android Pay and Google Wallet, could be well suited for Africa. Google could also use its expertise in developing online marketplaces for products such as insurance and financial services to create WhatsApp marketplaces for such products tailored to the African market. So instead of enemies or rivals, Google and WhatsApp could become the most powerful force in the world of ecommerce and communications. One has to wonder what sort of revenue that could generate.